Every classic car has a history behind it. Some live an easy life with their original owners as garaged survivors, while others have undergone rough spots. Fortunately, the vehicles in the latter category can still be restored to original form. They just need the right parts, a skilled hand turning the wrenches, and plenty of long nights in the shop. 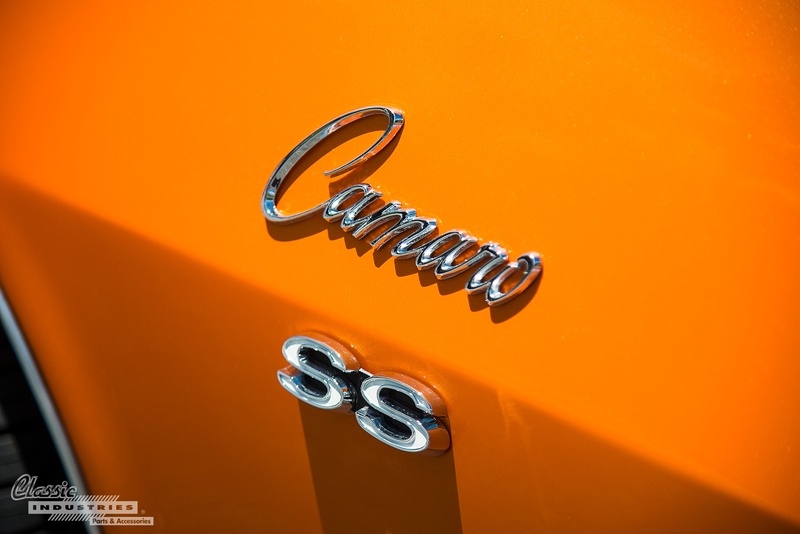 Mick Suarez, of Santa Ana, California, is the owner of this 1968 Camaro SS/RS. He tells us this car didn't have an easy life before he purchased it in 2002. 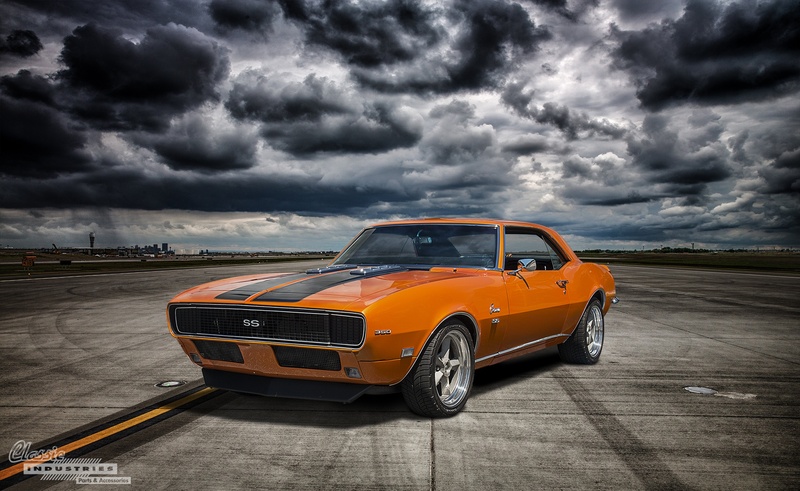 After being built in 1967 at the Van Nuys plant, the Camaro had two previous owners. One owner wrecked the car, leaving it in need of serious repair work, but that didn't phase Mick. Mick bought the car and started a full restoration, tearing it down to the frame and repairing or replacing damaged components. 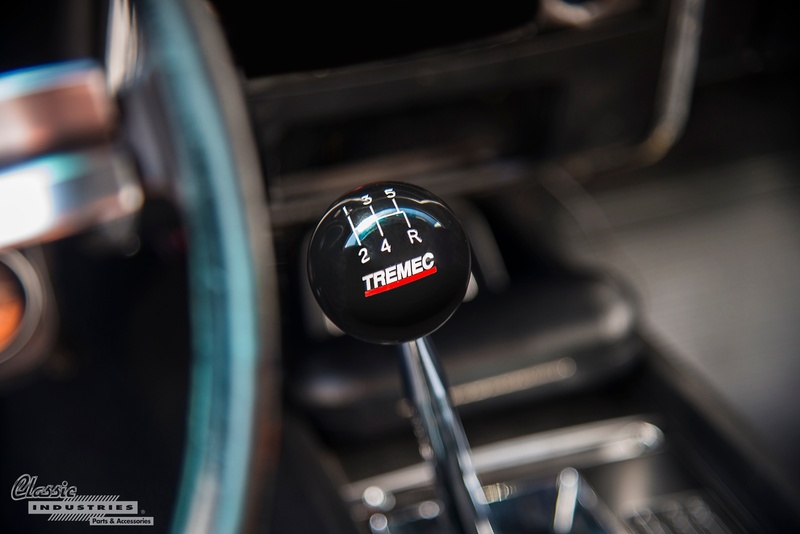 The 350ci V8 motor was due for a rebuild, so he had it bored .030 over, and replaced the stock transmission with a Tremec 5-speed manual. 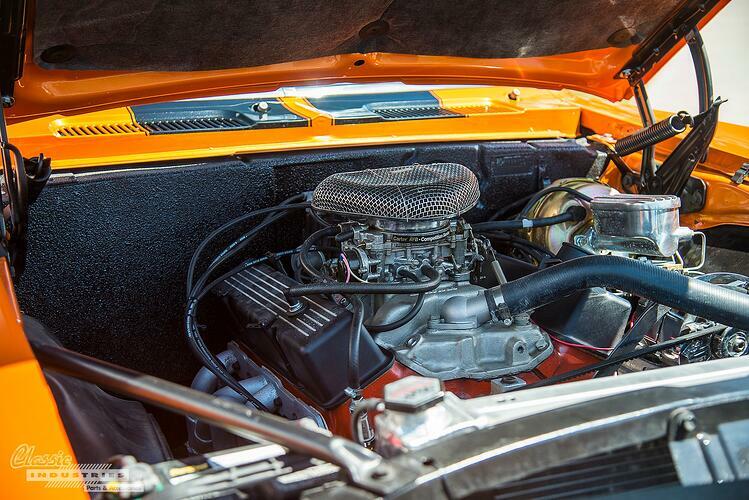 As for the body, Mick chose a vivid Tangerine Orange pearl color. 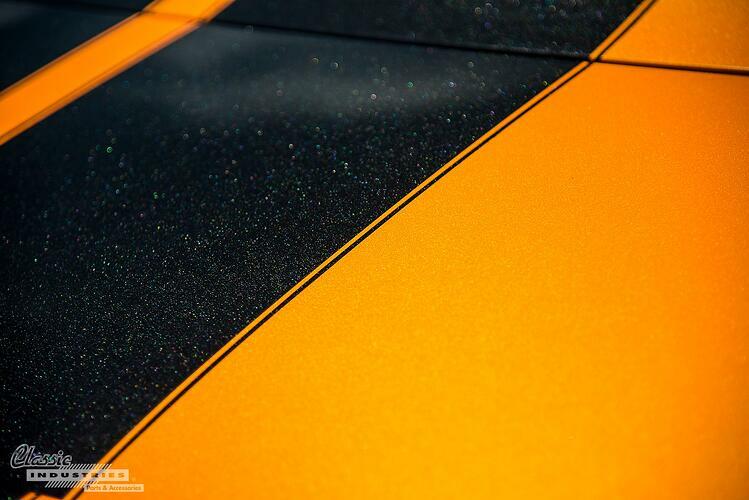 He also opted for black racing stripes with a subtle mix of multi-color metal flake that looks like it came off a lowrider or high-end speedboat. The end result doesn't look drastically different from a factory orange-and-black scheme until you get up close. Then your eye is drawn to the abundant and glittering flake. 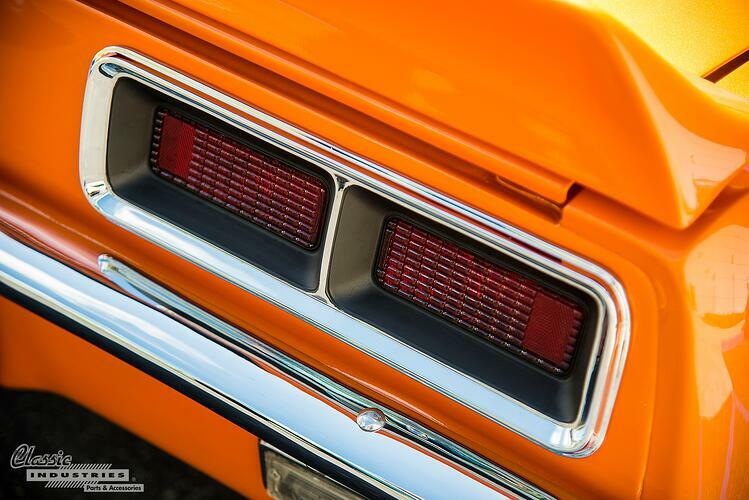 The 1968 Camaro's lights, rear bumper, emblems, and trim were all replaced with new parts from the Classic Industries catalog. Mick omitted the front bumper for a more aggressive track-prepped look. Mick says he used lots of parts from Classic Industries during the rebuild process, and has a great time driving the car now that it's finished. 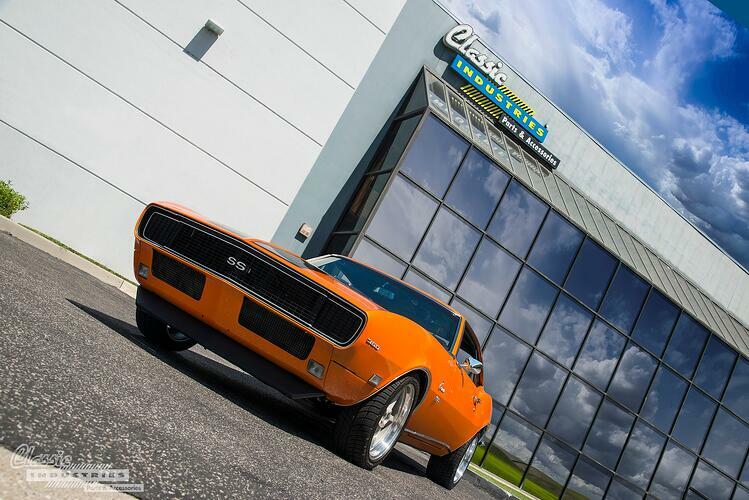 If you have a Camaro that needs a little TLC or a complete rebuild, click the button below to get a free Classic Industries Camaro restoration parts catalog.